And I explained the first two stages; Conceptual and Preliminary design stages. Today, I will continue explaining the last two stages of electrical design. The Developed design stage focuses more on the technical aspects of materials and building systems. The Developed design stage is the period when all the issues left unresolved at the end of preliminary design can be worked out, and at a scale that minimizes the possibility of major modifications during the Developed design stage. It is also the period in which the design itself achieves the refinement and coordination necessary for a really electrical design. While most design issues should be resolved by the end of design development, some will continue to be refined, resolved, or modified during the detailed design stage of the project. Client approval of preliminary design and budgetary implications. Client approved architectural, structural, and other services preliminary designs. Defined escape routes with locations for emergency signage. Furniture Layout and Interior Design. Landscape Layout and Connection to Building. Elemental load assessments (including documentation of constraints). Determine number of power outlets on area by area basis. Major plant and services routes, including access for installation and maintenance, coordinated with architecture, structure, and other trades. Develop and expand the services concepts, selection of typical plant, review of plant room sizes and service space requirements including sizing of mains, sub-mains, and protection. Assessment of specific treatment harmonics (internally and externally generated). Verify significant and unusual health and safety issues have been addressed in the design. Single line diagram showing connections to all equipment and boards (breakers and cables sized). Layout drawings indicating plant room locations, risers and service routes, and main cable trays. Reflected ceiling plans with preliminary co-ordination. Updated design features (options) report, including options selected. Highlight significant and unusual buildability and health and safety issues. Cost estimates at this stage can be produced by quantity surveyor on elemental basis, with secondary elements estimated on typical details. During this stage the electrical design team uses both the Requirements Specification and the preliminary technical Specification provided by the previous stages to develop a detailed design of the system. This design will provide a detailed specification for each component, thoroughly describing interfaces and functions provided by each component. This detailed design will serve as the basis for the construction stage. Client approval of developed design and budgetary implications. Client approved architectural, structural, and other services developed designs. Equipment sizing and generic selection. Supplies to ancillary systems (public phones, fire alarm panels, etc.). Sub-circuit cable sizing and breaker selection discrimination checks. Co-ordination in principle with structure, architecture and other building services. Highlight significant and unusual health and safety risks that were identified through the design process. Layout drawings indicating plant room locations, risers and service routes and main cable tray routes. Plant room and riser outline layouts. Lighting and power layouts including switching and circuiting. Lighting control zoning and specification. Distribution schedules with final circuit breakers and cables sized. Reports: No reports will be issued during this stage. 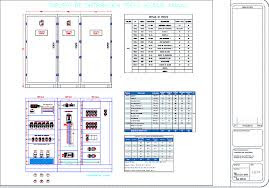 Detailed design generally provides a level of documentation to clearly define the design of all electrical elements. Design details should be coordinated with other disciplines. However, the documents produced in this phase may not directly be able to be ‘built’ from. Coordination. In ceiling zones identified with appropriate clearance from structure and other services. Major penetrations identified. Detailed co-ordination of critical areas. Define in the specification the significant and unusual health and safety risks that were identified in the design. after finishing the detailed design stage, a new stage will start called “Construction Design Stage” that usually prepared by the services sub-contractor to enable fabrication of the services design. So, it is not under the direct scope of the electrical design team but it must be monitored by them (based on their contract with the client). After the project has been awarded, the construction documents may be updated to incorporate addenda or changes and they are issued for construction. The necessary approvals (such as the building permit) must be achieved from all jurisdictional authorities for the construction process to begin. For construction design phase, drawings for architectural, structural, and other services. Production of larger scale detailed shop drawings including seismic details. Co-ordination of all services, structure and architecture. Equipment selection and technical submissions. Confirmation of capacities, sizes based on equipment selection of all trades. Seismic bracing. Detailed tray routes and supports. Detailed layouts of plant rooms and risers. Provisions for access and maintenance. Revise detailed design documentation to incorporate buildability changes suggested by contractor if they impact on the design intent. Equipment submissions as defined in detailed design. Fabrication drawings for switchboards and panels. Equipment plinth details, mounting and isolation detailing. Detailed layouts of plant rooms. Detailing of all tray routes and catenary grids including support/hanger details. Conduit routing and installation details. 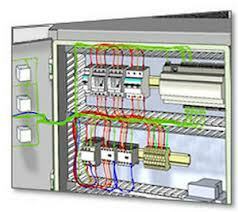 Wiring diagrams and points schedules for control systems. 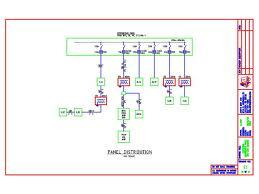 Review shop/fabrication and layout drawings for compliance with design. Construction stage Normally prepared by the services sub-contractor to enable fabrication of the services design. Deliverables contain sufficient details for elements to be manufactured/constructed without reference to other documents, i.e., ‘the details have coordinated the relevant design information across all disciplines and can be built from’. At completion of design as built drawings, manuals, and equipment details produced to indicate final installed systems. The contractor is responsible for managing health and safety risks during the construction phase. in the next Article, I will explain how to write an Electrical Design Criteria that must be used in the Conceptual and Preliminary design phases. so, please keep following.